Calling this a cocktail is liking calling a pop song a symphony. Simply put, High West’s Campfire Whiskey is excellent as it is. 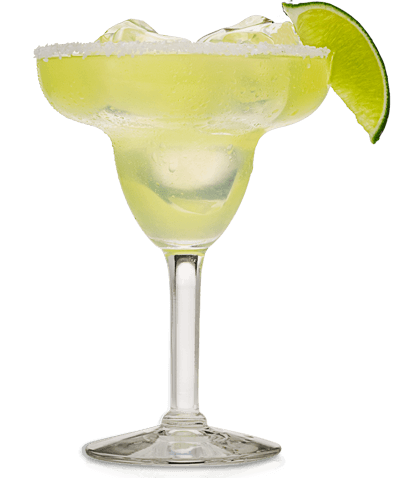 Like all great spirits, though, sometimes it’s nice to create something more by adding other flavors and even consistencies. In this case, the combination is delicious and couldn’t be easier to make. Just two ingredients. 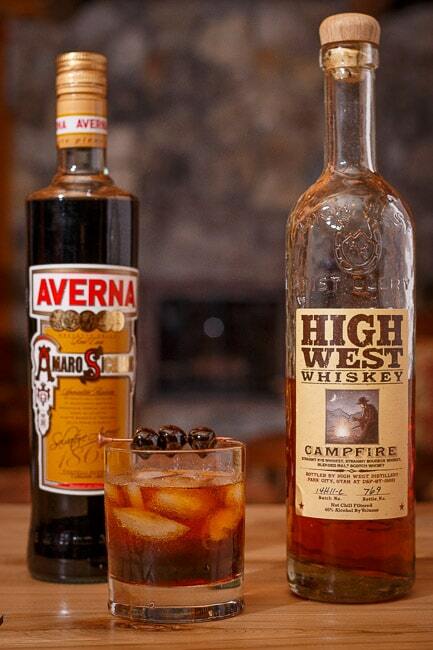 High West Campfire Whiskey and Amaro. But I’m getting ahead of myself. First, we should cover a little background . . .
High West Campfire is a blend of three different kinds of whiskey – a straight Bourbon whiskey, a straight Rye whiskey and a blended malt Scotch Whisky. The whiskies are all five years old or older and the blend is a secret. The taste is unusual and very good. 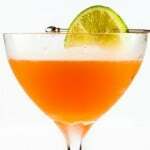 It’s boozy, for sure, but goes down nice and easy with loads-o-flavor. 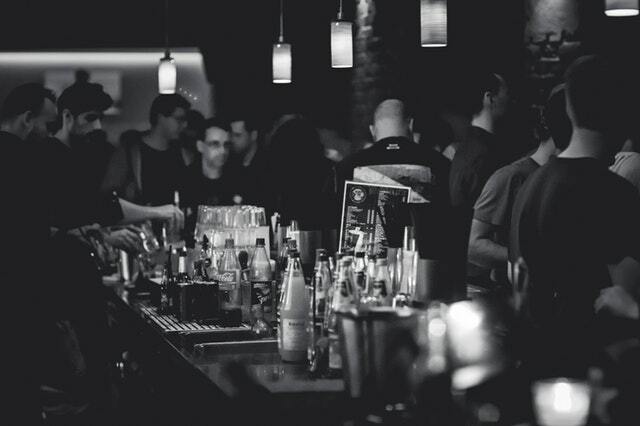 The combination of sweet (bourbon), spice (Rye) and smoke (Scotch) work great together. When I first tried it, I was inspired to blend my own, peaty, smoky drinks by adding Islay Scotch (that’s the peaty kind) to other drinks. I finally settled on using it as a peat wash in other drinks. I find myself trying to replicate the taste of Campfire often now. OK, back to the cocktail. 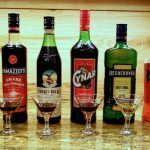 For those who find the straight-up spirit a bit too much or are just looking for some other tastes with the peaty blend, I suggest mixing with Amaro. 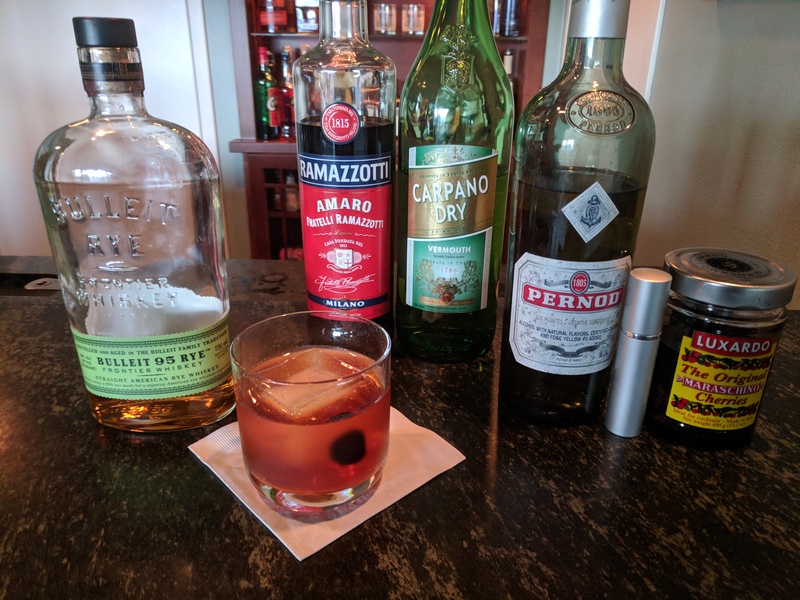 While I tried similar concoctions with sweet vermouth and several syrup and bitters combinations, I found that Amaro brought out the best in the Campfire blend without steamrolling any of it’s natural tastes. And, what can I say, it’s so easy to mix up, why go any further? Pour ingredients into a rocks glass. Add ice. Stir until cold (with your finger if that’s all you’ve got). Add cherries for garnish. 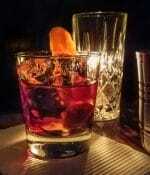 The sweet, spicy and smoky taste of the Campfire is enhanced by the sweet initial taste of the Amaro and its long, dry aftertaste. 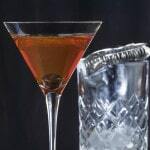 In all, the cocktail is a little sweeter on first taste than the Campfire Whiskey straight up, but the smoother, dryer aftertaste that stays with you is even better than the original.